This home features a 1st level Master Bedroom for step-free living. Even the laundry room is on the 1st level, along with an office. Upstairs there are 3 bedrooms, a full bath, and a bonus room. The corner location provides more open space, and the backyard measures 22’ x 63’, not including the covered Outdoor Room. Connected Home program, making systems controllable with smartphones or voice. Images reflect model photography. This home features large spaces for comfortable living. The backyard measures 40’ deep by 60’ wide. Connected Home program makes systems controllable with smartphones or voice. Images reflect model photography. VALUE RANGE $399,000-$439,000. CUL DE SAC location. Open floor plan with a bedroom and full bath downstairs. Formal dining room and formal living room. Kitchen with island and breakfast nook.Family room with fireplace and faux-wood shutters. Laundry room between the garage and the kitchen. Very large four-car garage. No HOA!! Available for immediate occupancy. Welcome Home! An amazing opportunity to own 2 detached homes, an investment located in a prime location with lots of off street parking, close to shopping, city hall, schools and much more! Both homes offer a spacious living area, dining room, full bath, washer and dryer hookups, potential for RV parking, hardwood floors in front unit and tile floor in rear unit. Did I mention the large yard for entertaining. YOU DON'T WANT TO MISS THIS RARE OPPORTUNITY! 536 sq ft in the back unit. Welcome to this open concept stunning home. New laminate, tile, paint, concrete, appliances and artificial turf. Turnkey and ready to move in. 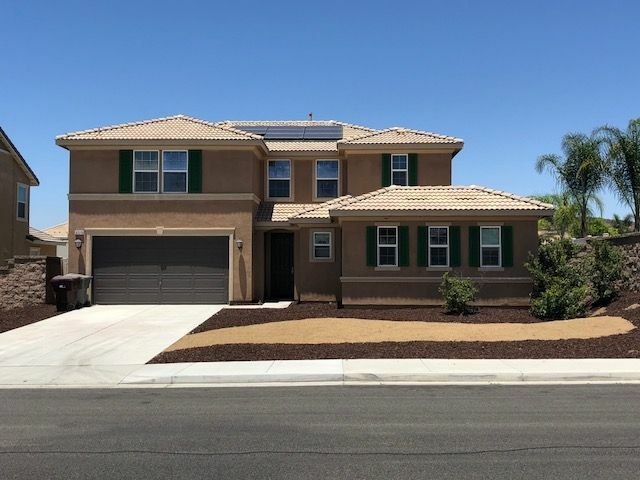 Home is SOLAR POWERED and FULLY PAID.. Large open concept dining, family and kitchen area is perfect for a large family and an entertainers dream. Master bedroom downstairs perfect for older relatives. Don't miss out on this spectacular home. 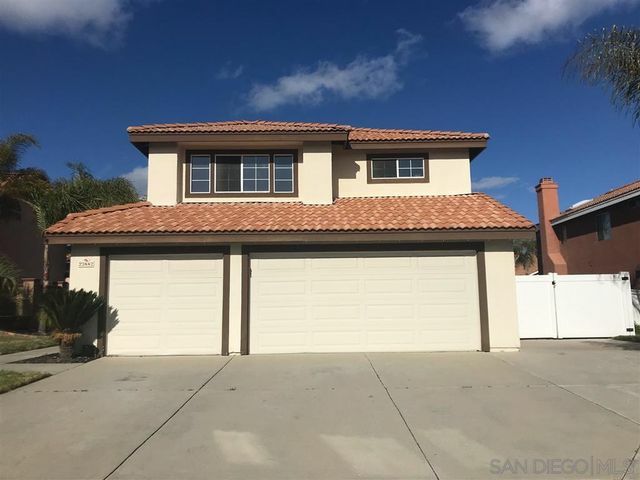 Don't miss out on this 5 bed / 3 bath home. Great backyard for entertaining. Pool, hot tub and built in BBQ. Great location and great neighborhood. Move in ready! 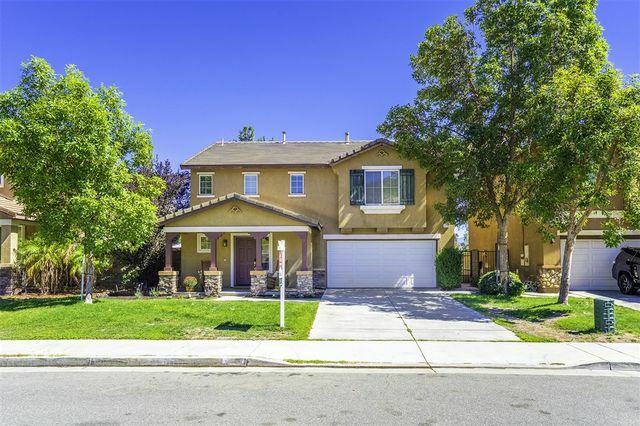 Beautiful move in ready home, prime location in Rancho Bella Vista on cul-de-sac! 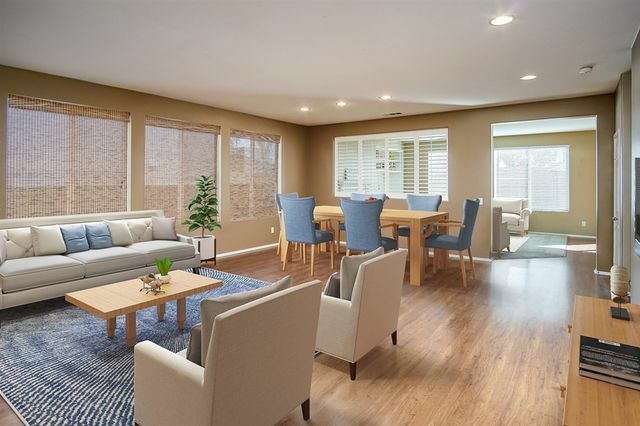 Home features 3 Bedrooms, 2½ Bathrooms and a loft, large family room and open kitchen, all bedrooms are located upstairs, master suite features a large walk-in closet and a very spacious open bathroom. Loft area is perfect for a game room, office or theater room. Easy access to all major parts of the city. 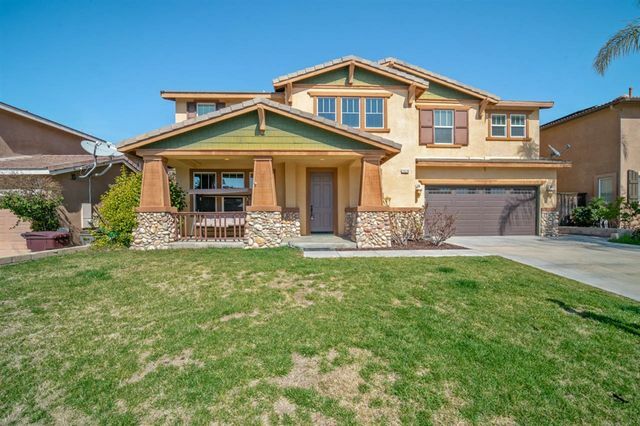 Minutes away from Wine Country and shopping centers. Mountain views, low HOA! Military family has Orders, time to move. Beautiful home located in desirable golf course Community. The separate living and dining room make for a wonderful space for conversation. Gourmet kitchen overlooks breakfast nook and family room. Enormous center island with granite counter-tops. Large master suite with double door entry and retreat with double-sided fireplace and walk-in closet. Master Bath boasts dual sinks, separate tub and glass-enclosed shower. Three additional and spacious bedrooms. Seller to entertain offers between $1,399,000 - $1,499,0000. Tremendous value on this spectacular equestrian estate on 5.74 flat useable acres in the heart of La Cresta. 5,955 sq. ft. main house featuring 5 bedrooms and a loft. Entertainer's Dream - Open floorplan with 20 foot ceilings, exposed beams throughout, and 4 wood burning fireplaces. 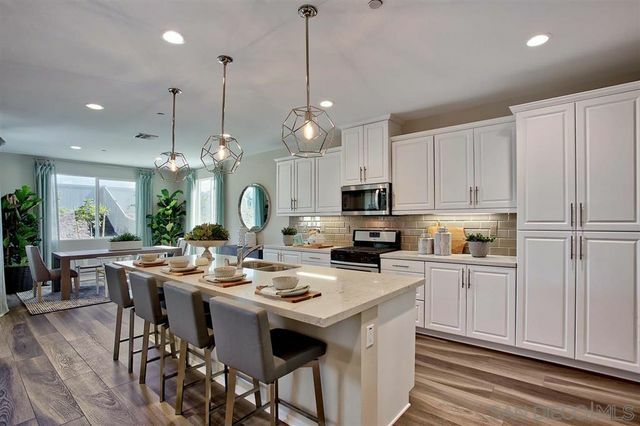 Chef's gourmet kitchen that includes a pizza oven, two sinks, pot filler, warming drawer, custom lighting, large walk in pantry, two large granite slab center islands, custom wood cabinetry and stainless steel appliances. Dining room has a beautiful fireplace. The family room with it's high beam ceilings, also features a cozy fireplace. Game room provides enough space for a pool table and other games or bar. All bedrooms feature their own bathrooms and the master suite has a sitting room and a spectacular master bath with two walk in closets. Dramatic custom stone turret welcomes you at the entry. Decorative concrete floors throughout most of the home, makes for easy cleaning and durability. A guest CASITA is also on the property with one bedroom, bath, and family room. 7 stall (16 x 16) BARN with turnouts, double wash racks, all lighting on timers, tack room, and hay storage. 4 stall row barn with storage, hot walker, round pens, two pastures, arena and direct access to trails. 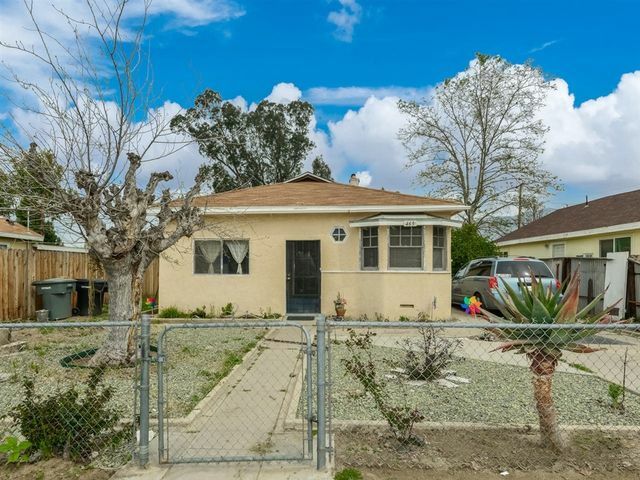 Property also has assorted fruit trees, garden, and great front lawn. Water is supplied by WELL and two large water storage tanks.